They say you can tell a lot about a woman by her purse. Or the way she dresses. But I think the most telling way to find out what a woman is really like is to get her to open her mouth. Like Jesus said; “out of the abundance of the heart, the mouth speaks.” (Matt. 12:34) That means that the words we speak are like a portal to the very core of who we are. Combining that reality with today’s further description of our biblical super woman, we have to conclude that before we can speak words that are wise, we need hearts that are wise. Most of you already know all that stuff. Instead, we’re going to focus on the bad, or perhaps more accurately, the sobering news about wisdom because even though I’ve rarely heard it talked about, it is what most inspired, or terrified me, to go after it. Years of evaluating the grown-up population of our society has proven beyond a doubt in my mind that wisdom is a choice – not a natural outcome of age. Even among Christians, there are many redeemed, but not as many wise. That’s because, unlike the mercy and grace that God lavishes on us because of Jesus Christ’s work on the cross, wisdom is a treasure that we will possess only if we choose to do so. Perhaps you are someone who likes options and therefore would categorize this optional feature as “good news”. But I encourage you to rethink. The prospect of living life without wisdom is a dark one (Prov. 8:35-36), making this a terrible freedom that we should not treat lightly. Proverbs 2 lays out a great action plan for acquiring wisdom and it’s not for the lazy. If you’re looking for an example of a lazy, wise person to prove me wrong, you might as well search for a unicorn. In that short passage, you’ll find eight actions that we are to engage in to acquire wisdom from God. Receive. Treasure up. Make our ear attentive. Incline our heart towards. Call out for. Raise our voice for. Seek it. Search for it. That looks like regular, personal Bible study. That looks like thinking about what you read until you understand it and do it. That looks like seeking out wise people in life to learn from. That looks like being part of a local church where you can be taught and where you have an opportunity to apply what you learn. That looks like being teachable. That looks like training our spiritual appetites to crave what will nourish. My marriage isn’t doing it for me anymore. Parenting pre-school children threatens my sense of purpose and worth. My teen is bent on self-destruction. Someone in my church has hurt me. A friendship or work relationship has dissolved. 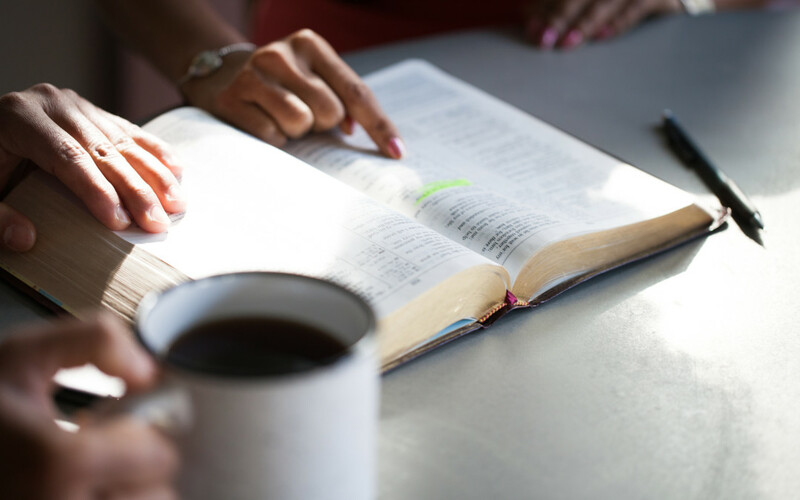 In those moments, if we have not proactively stored up wisdom, we have no choice but to respond reactively – feverishly flipping through our Bibles, hoping to land on some nugget of wisdom to guide us through our mess. We’re not unlike the student who never studied, praying for an “A” as the tests are distributed. Proverbs 1:20-33 warns us: It doesn’t work that way. Read it. It completely sobered me many years ago. We can’t ignore wisdom’s plea and offer, then turn in a moment of crisis and expect to get it in an instant. When we do that, we are neglecting the eternal, big-picture context in which those truths are meant to be understood for them to have any effect. Disconnected from the larger, redemptive reality, those solitary principles are low-potency, band aid fixes. We are also neglecting the fact that much of the ability to respond rightly doesn’t come from awkwardly applying one intellectual tidbit; it comes from going into a situation already possessing character qualities forged by time and wisdom. And we are not taking into account that there are many biblical principles that come to bear on any given situation and we won’t be able to make a wise decision by only looking up one or two. Like the little, clicky lenses at the optometrist’s office, we often need to view a situation through multiple biblical lenses to see it clearly. If we aren’t wise, our words won’t be. And let’s stop waiting around for unicorns. * I’ve addressed the matter of speech at great length in an earlier series. If you’ve subscribed after that point, check out Speech Matters and then read on from there.